The Thorens/Glanz/Ortofon Meister rig did not have the refinement and transparency of the Nottingham/Benz rig but made a compelling argument for itself as an alternative take on reality. I liked it so much that it got me wondering about trying an Ortofon mono cartridge. 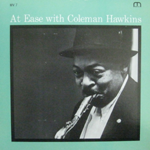 Listening to "For You For Me For Evermore" from At Ease with Coleman Hawkins, OJC-181 [Moodsville MV-7], again I could hear that the Nottingham rig had more soundstage depth, more information and crisper transients. Still the sax was richer and more sensual with the Thorens/Glanz/Ortofon Meister rig. The words velvety smooth came to mind. Thorens/Ortofon RMG-309/Ortofon Meister Silver. I switched over to the Ortofon 309 arm with the Ortofon Meister Silver cartridge and played the same cut. The sax was a bit spittier and fuzzier now but the tonal balance was pretty much indistinguishable from the Glanz. There was noticeably less information too. Not surprisingly the Glanz provided a more modern sound than the Ortofon, with crisper leading edges and an overall tighter tidier sound. The bass and drum solos at the end of Sonny Rollins' "John S." from The Bridge were cleaner and transparency was improved with the Glanz even if still not up to the level of the Nottingham/Benz combo. The Glanz also provides more separation and focus to the instruments, with less haze in the space between the instruments. It moved toward the transparency of the Nottingham rig but retained a weightier tone. Thorens/Glanz/Benz LP-S. The next logical step was to mount the Benz LP-S on the Glanz tonearm. I set the tracking force at 1.9 grams with VTA slightly down in back just as I had with my Nottingham Ace Anna tonearm.. Listening to the same two albums as above (Coleman Hawkins, Sonny Rollins), it was apparent that the bass did not go as deep nor had as much impact. However this may have been a limitation of the Thorens which remained a variable. The true test would mount the cartridge on two different arms to the same table. Unfortunately my Nottingham Mentor turntable won't accept a 12" arm. Tracking of the Benz LP-S was similarly excellent on both. The Benz LP-S on the Nottingham table/arm had greater soundstage depth, refinement and transparency than it did on the Thorens/Glanz. Tonally it was fine and the Benz actually had more body on the Glanz. 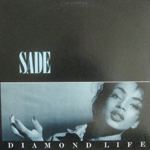 I pulled out an old pop favorite, Sade’s Diamond Life [Portrait FR 39681] and played the hit "Smooth Operator". The width of the soundstage was huge, bigger than over my Nottingham table/arm. It was a really enveloping sound with plenty of air. 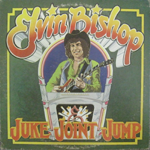 Digging back into my 1970s rock albums, I found one that got a lot of play in my college years - Elvin Bishop’s Juke Joint Jump [Capricorn CP 0151]. On the title cut Elvin’s funky lead guitar had just the right combination of body and drive. On the cut "Wide River" the piano’s harmonic overtones were more abundant than over my Nottingham rig. The foot-tapping drive of these vintage idler wheel tables was well complemented by the Glanz. Its literature repeatedly stresses the attention given to mechanical rigidity. In particular it talks of the "rise of sound" which I presume to mean the dynamic transient attack of the music. The design is obviously successful in this regard. The first notes in Elvin Bishop’s Do Nobody Wrong showed this jump factor with aplomb. One thing that became increasingly apparent as I spent more time with the Glanz is that it excelled at rendering natural instrumental body and tonal color. Both of these qualities contribute mightily to musicality and long-term listening enjoyment. In fact over the last few days of writing this review I remounted the Miyajima Premium mono cartridge and blissfully started going through a mountain of unplayed (by me) mono jazz records that I'd picked up over the past ten or more years. I remember the days when I avoided mono records at tag sales. How wrong I was! Once I got the Aurios footers under the slate plinth and everything came together, I really began to enjoy the Glanz tonearm immensely. I cannot attest to its ultimate ability at recovering the lowest detail and nuance at the level of my Nottingham Analogue Mentor turntable and Ace Anna tonearm without being able to mount the arm on the Mentor turntable (which it won't accept). I do suspect that the restored Thorens TD-124’s abilities were the limiting factor.You might wonder about paying $9.995 in this day and age for a tonearm sans azimuth adjustment. I did. The price certainly puts the arm into competition with a lot of other advanced designs. The Glanz doesn’t champion any new whiz bang technology, low-hung counterweight, exotic woods, outriggers to stabilize a unipivot bearing, on-the-fly VTA, removable arm wands etc. This arm is more about elegance and boiling down the elements of tonearm design to the core factors as Mr. Hamada sees them. Those would be the highest quality materials selected based on empirical trials, machining the body and bearings to a fare-thee-well and judicious damping whilst adhering to the requisite geometry. The Glanz is clearly a craftsman’s statement of Mr. Hamada’s accumulated knowledge over many years. There is a lot of technical knowledge behind it but there are also aspects which are purely his unique biases (i.e. a penchant for Ortofon SPU cartridges). Like any other designer he put his attention on what he felt would make the most difference in obtaining the best sound. The Glanz MH-124SX will do battle with a growing list of other modern 12-inchers such as the Ortofon, Ikeda, Schick, Jelco, Nottingham, Helius, EMT, VPI, SME, Kuzma, Mörch, Schröder, Brinkman and others. Of course many of these do not have a removable headshell and cannot accommodate the designer’s beloved Ortofon SPU cartridges. The advent of high-end audio ushered in the anti-removable headshell movement to remove an interface where energy transmission could be impeded. Through Hiroshi I asked Mr. Hamada about this who confirmed that he's quite aware of the penalty of an interchangeable universal system. Hence he installed a stainless steel metal mechanism to increase as many direct-to-metal surface contact points as possible to moderate these drawback. His ultimate target in analog sound reproduction is to recreate the best sound from the Ortofon SPU series which requires an exchangeable headshell system. In addition there are many other superb MC cartridges available these days towards which end the audiophile is fully entitled to enjoy listening in much variety he insists. What I can say for certain is that the sheer enjoyment of basking in the purity of tone and rich tonal colors with the Glanz put all of these questions out of my mind. The arm was a joy to use. Just moving the arm over the record and feeling the silky smooth bearing was a sensual experience. 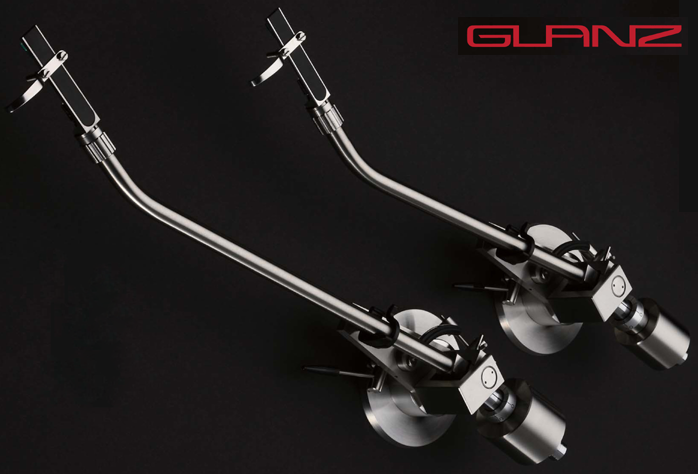 The Glanz is an exquisite tonearm not only for its sonic virtues but also for its ergonomics, aesthetics and versatility. 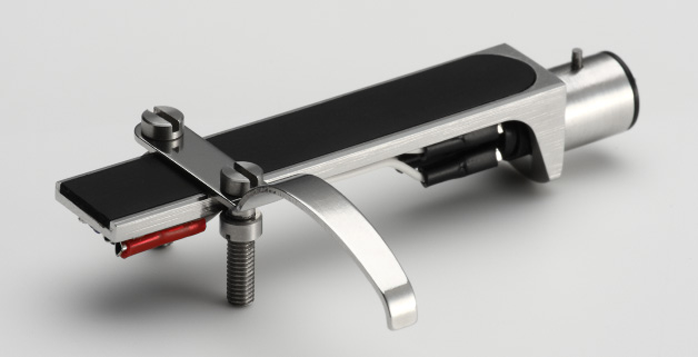 It works with any cartridge from the massive Ortofon SPU G-style cartridges to the light-weight types. Just be sure to pay heed to proper mechanical grounding for the arm or you will not hear its full potential. I for one applaud the rebirth of Hamada Electric and the the Glanz extra heavy weight tone arm. Quality of packing: Excellent – nice wood box with molded foam inserts. Reusability of packing: A lifetime. Ease of unpacking/repacking: No problem. Condition of component received: Brand new unit in flawless condition. Quality of owner's manual: Thorough but with some Japanese to English translation difficulties evident. Human interactions: Helpful with all questions and concerns. Pricing: It’s a very high dollar tonearm up against some serious competition.